Tired of night sweats? Think your old hot sheets are the cause? Well it’s time to say hello to Sheex sheets. Sheex is a company looking to improve the overall sleeping experience by creating high performance sheets and bedding. 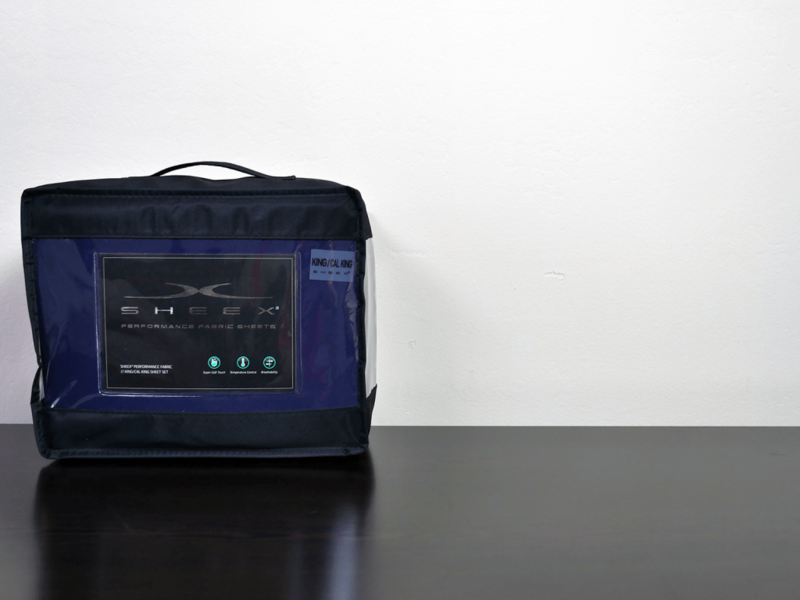 Do the Sheex have what it takes to pass the Sleepopolis sleep tests? Continue reading below to find out! The Sheex sheets are made up of a combination of polyester (87%) and spandex (13%). The blend of these two materials makes for a very stretchy, breathable sheet set. Additionally, these materials can be compared to the materials used to make athletic performance wear. This sheet set includes 1 fitted sheet, 1 flat sheet, and 2 pillow cases. The most notable feature of the Sheex is their elastic band attached to the fitted sheet. 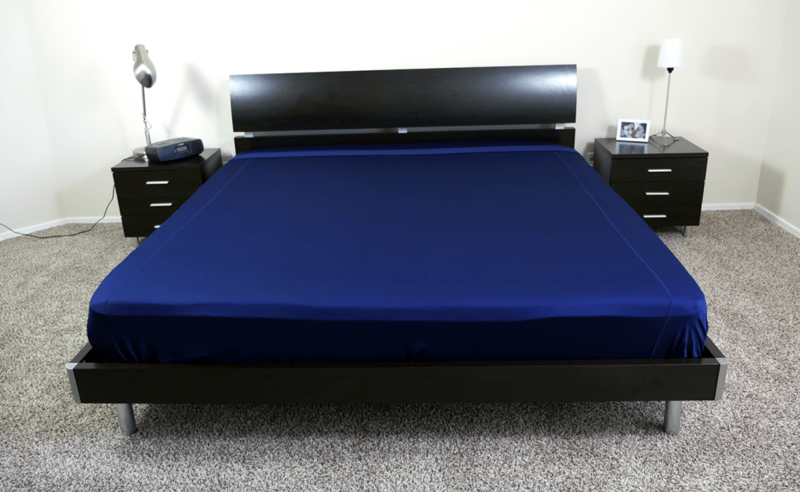 This band allows the fitted sheet to stretch easily while also remaining very snug on the mattress. The build quality of these sheets is phenomenal. I came to this conclusion after very close examination of the stitching, materials used, and overall construction. After searching through the sheet set, I was only able to find 2 loose threads, both of which pulled out easily and did not cause any damage to the set. The pillow cases were flawless and did not show any signs of damage whatsoever. Throughout my tests of the Sheex sheets, I took a few important topics into account. To begin, shrinkage. The most frequent complaint or worry about sheets tends to be shrinkage. As potential buyers, we want to be positive that the sheets set will not shrink drastically after one wash and dry cycle. After shrinkage we move into thread examination. Are there any concerning loose threads? Have any preexisting threads become more of an issue through normal usage? And finally, color. The color tests allows me to evaluate the quality of color / dye materials used in the sheet set. 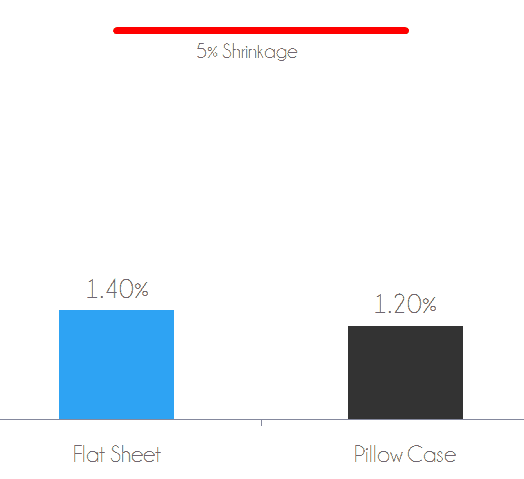 As stated above, shrinkage is the most important characteristic associated with sheets. Prior to putting the Sheex through a wash / dry cycle I take measurements that will serve as my shrinkage baseline. Once I have these measurements, I run the sheets through a standard wash / dry cycle and take new measurements after this cycle is complete. Next up, I compare the new measurements to my baseline measurements and determine how much the Sheex have changed in size. After comparing them, I saw very little shrinkage from the Sheex. The flat sheet shrank by 1.4% and the pillow case shrank by 1.2%. I would not expect to see much more, if any, shrinkage from the Sheex sheet set from continued use / washes. 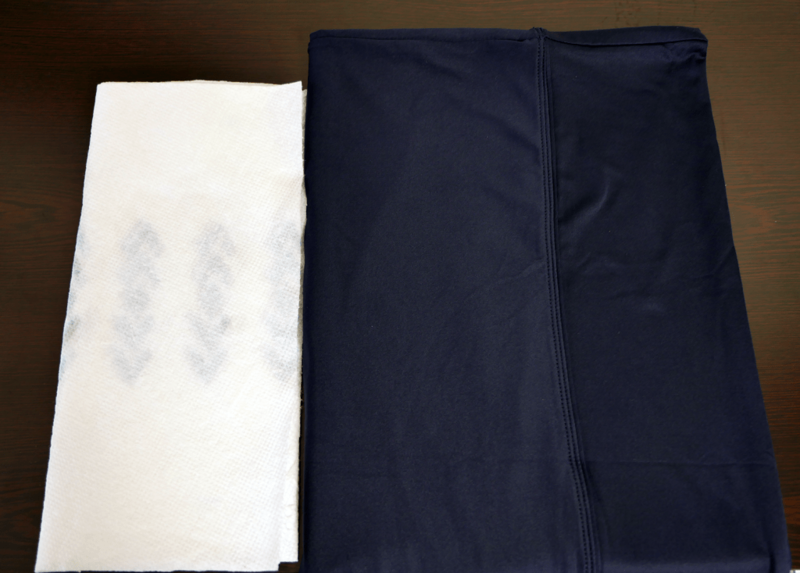 Shrinkage test – flat sheet shrank by 1.4% after wash / dry. Pillow case shrank by 1.2% after wash / dry. The damage test requires a deeper analysis of the overall quality of the sheet set. This test is completed after several weeks of normal usage in addition to multiple wash / dry cycles. After extended use the Sheex sheet set has remained in excellent condition. There was no damage to the sheets and no signs of any loose threads. To test the colors of the Sheex sheet set, I completely soaked a pillow case in hot water and allowed it to soak up all of the water. Afterwards, I gently rung out any excess water with my hands. Immediately after, I placed the pillow case on top of a bed of paper towels and used a rolling pin to firmly press the pillow case against the paper towels. The Sheex did not show any color transfer to the paper towels. Typically, a low quality sheet set will show some sort of run off. The Sheex proved to be made from high quality color and dye materials. If I could describe the Sheex in one word, wow. These sheets are silky soft, comfortable, cool, and offer a completely different feel than the traditional cotton sheets. On a softness scale of 1-10, where 1 is the most soft, the Sheex fall between a 2-3. Probably the most impressive feature about the Sheex are their ability to provide an extremely cool sleeping experience. Designed with a blend of polyester and spandex, these sheets do an excellent job of breathing and keeping the sleeping surface cool. Throughout my sleep tests there were never any hot spots or signs of heat trapping from the Sheex sheet set. Instead, there was a high level of airflow in and out of the sheets. As a comparison point, the Sheex are made from the same materials used to make high performance athletic clothing (similar to Nike’s Dri Fit line). In other words, temperature control and moisture wicking properties are two beneficial characteristics the Sheex embody. This set is one of the absolute coolest I have tested to date. Style is an important topic when in the market for a new sheet set. There are 6 different colors offered by Sheex and each of these colors has a modern look that could blend well with virtually any bedroom. Additionally, the color schemes and design are gender neutral, so both men and women will be satisfied with the aesthetic look. Overall, I’m a fan of the Sheex. They feel great, keep you cool during the night, have a durable build, and have a modern aesthetic about them. Not to mention, the elasticity and tautness of these sheets is impressive. Who Should Buy the Sheex Sheets? Want a cool sheet set – the materials used in these sheets make for a cool sleeping experience. A combination of polyester (87%) and spandex (13%) allow for optimal breathability and airflow through the Sheex. 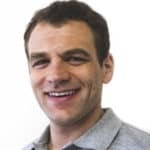 They are similar to high performance athletic wear and have many of the same performance characteristics including moisture wicking, breathability, elasticity, and tautness. Like the idea of stretchy / flexible sheets – the Sheex fitted sheet tightly holds the to the mattress while the flat sheet’s silky smooth texture glides with you as you move during the night. Want to get away from traditional cotton sheets – if you’re looking for a more modern sheet set, Sheex is a great option. They have improved softness and cooling over many traditional fiber sheets. 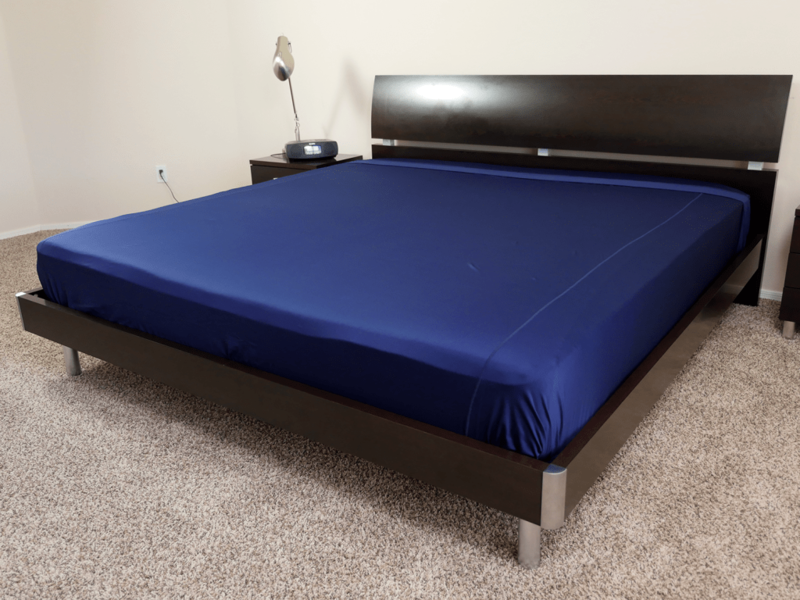 Want a durable sheet set – the Sheex sheet set has proven to be extremely durable. The stitching was virtually flawless, the color / dye materials used are high quality, and there were very few signs of shrinkage after standard wash / dry cycles. All in all, the Sheex are as good as new after several weeks of normal usage and I would not expect to see any dramatic changes in performance moving forward. Looking for more information on the Sheex? Visit Sheex.com. The Sheex sheet set is far from your traditional sheets. Made from a blend of polyester and spandex these sheets are cool to the touch, flexible, and stylish. Not to mention, they are extremely durable and have a high quality build. 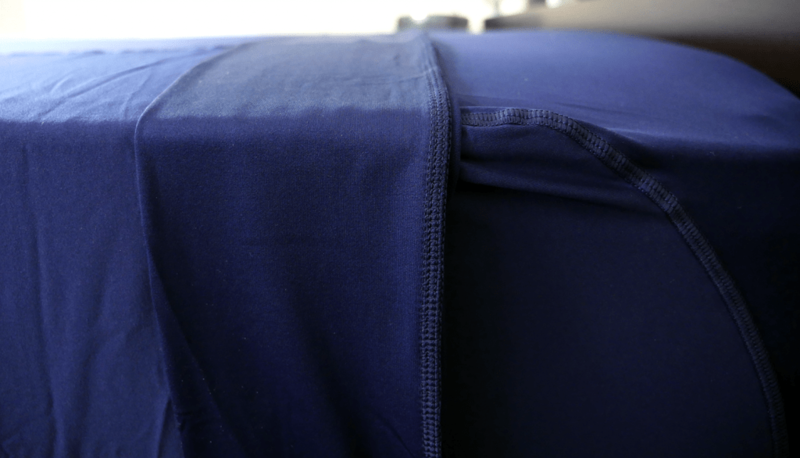 The stitching is virtually flawless and each component of the sheet set looks as good as new after several weeks of normal usage and was / dry cycles. While the Sheex were designed as an active lifestyle bedding accessory, they have proven to be suitable for anyone who wants a cooler, more enjoyable sleeping experience.